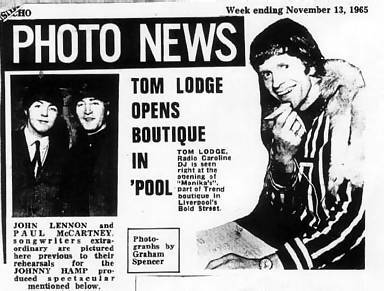 On Friday March 25 1966 Tom Lodge interviewed The Beatles. 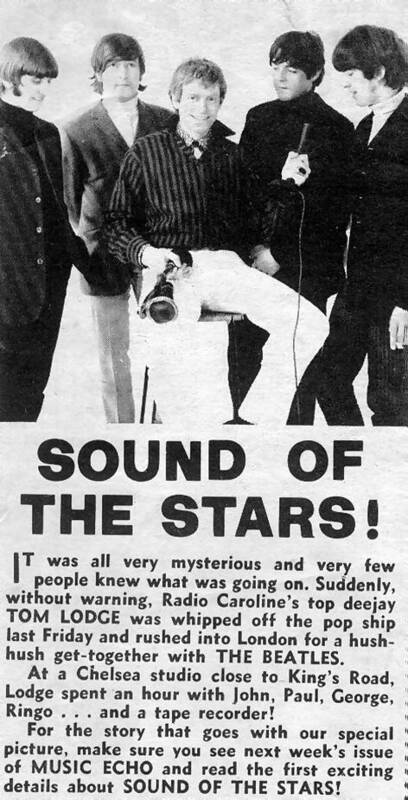 An edited version of the interview appeared on Sound Of The Stars, a 7” single offered to promote the launch of Disc & Music Echo. This new magazine was created by a merger between Music Echo (the former Mersey Beat) and IPC's Disc. The first edition was published on 23rd April 1966. 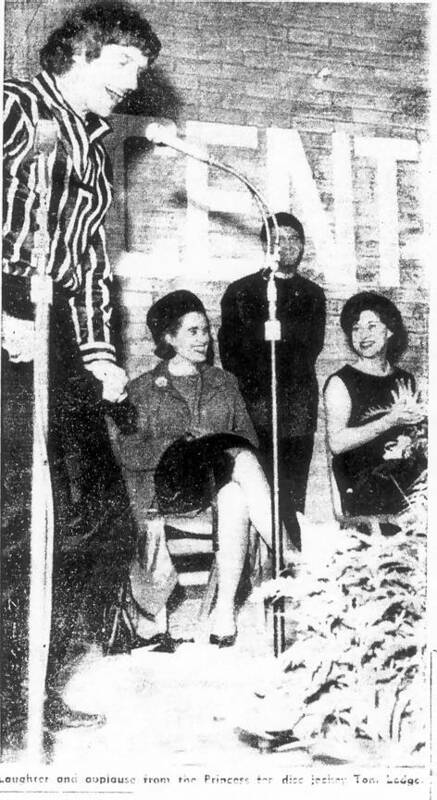 Tom Lodge with Princess Margaret at an event on October 14th 1965. Click on either of these two cuttings to enlarge. 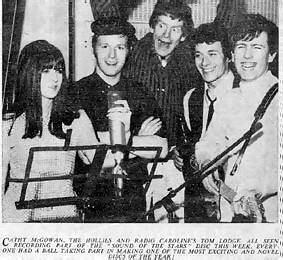 Tom with TV presenter Cathy McGowan and The Hollies. Another interview for Sound Of The Stars. 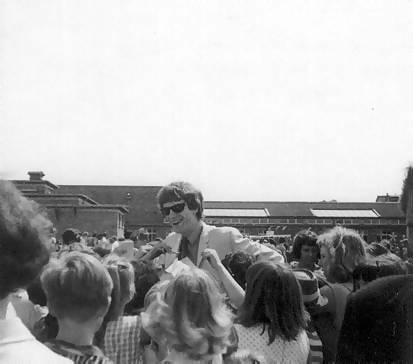 Tom Lodge surrounded by fans after getting off the tender in Harwich on his way to do a gig in London, 1966. Tom hosting a concert. 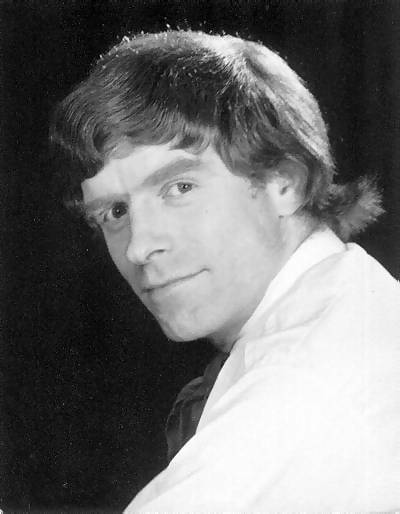 To read his memories of introducing the Rolling Stones at the Palace Ballroom, Douglas, Isle of Man, check out chapter five of Tom's Radio Caroline Story. 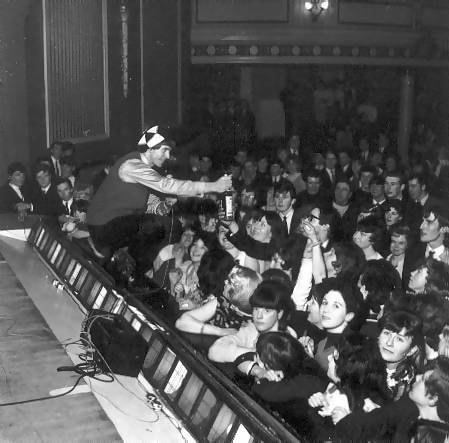 Thanks to Alan Morton for his help in trying to identify this venue. Photos and cuttings courtesy of Tom Lodge, reproduced with kind permission. 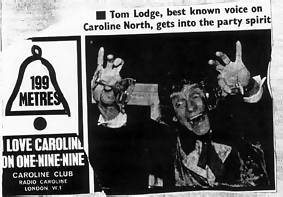 See also part one, part three and Tom's Radio Caroline Story.